– It’s a Friends reunion… but only with the creators of the show. 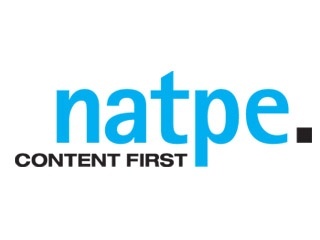 Friends co-creator Marta Kaufmann and David Crane reunited Tuesday for a NATPE panel, reflecting on their success and talked about the future of the network sitcom. The duo didn’t exactly wax praise on the current state of the genre, saying they wouldn’t work on one again citing the crazy work schedule and the staleness of the genre. Kaufmann stated the sitcom would have to be “reinvented if its going to work on network TV.” David Crane, who is executive producer of Showtime’s Episodes (which stars former Friend star Matt LeBlanc) said the hands-off approach cable has is the best thing. Both reminisced about the days of running a sitcom that had an impact on popular culture (for better or worse) – and getting paid handsomely, of course. Kaufmann and Crane quickly shot down any notion of a Friends reunion, saying the series is “done”. Other TV showrunners who spoke at NATPE include Boardwalk Empire‘s Terrence Winter, James L. Brooks, and Bravo President Andy Cohen. – CBS late-night host Craig Ferguson was meeting and greeting station execs this past week at NATPE, promoting his new game show Celebrity Name Game from Debmar-Mercury, which is now cleared in 90 percent of the country, including 5 to 8 p.m. clearances on Tribune stations, including WGN-TV in Chicago. Name game is being produced by Courtney Cox (Friends) and David Arquette’s production company. – MGM Television has officially picked up a second season of Paternity Court, with 80 percent of the U.S. cleared for next season. Thought to be on the bubble, Court is averaging a 0.6 rating in its freshman season, up 20 percent from its premiere. The renewal comes after Twentieth Television pulled the plug on Judge Alex and Gloria Allred deciding to exit Entertainment Studios’ We The People after three seasons. – Celebrity news provider X17 Online is teaming up with Twentieth’s syndicated strip Dish Nation to create branded TV segments, breaking news, and entertainment news content to station providers. X17Online’s website averages around 100,000 hits a day. Now in its second season, Dish Nation is the top-rated first-run syndicated show in adults 18-34 and adults 18-49 among freshman and sophomore shows. – The Brandon Tartikoff Legacy Awards took place Tuesday night, honoring “…a select group of television professionals who exhibit extraordinary passion, leadership, independence and vision in the process of creating television programming and in evoking the spirit of Tartikoff’s generosity.” Emceed by Nancy O’ Dell of Entertainment Tonight, this year’s recipients included Lionsgate CEO Jon Feltheimer; Emilio Azcarraga Jean, president/CEO of Groupo Televisa SAB; former NBCUniversal exec Lauren Zalaznick; and legendary producer James L. Brooks, the man who is behind many of TV’s hits, including The Mary Tyler Moore Show, Taxi, Lou Grant, and The Simpsons.